Blizzard's Warcraft Movie: Was It Good Or Bad? For years, fans of Blizzard Entertainment’s Warcraft universe have craved a film adaptation. The franchise has spawned several games, novels, comics, and even a trading card game, but it never made it to the big screen. All that changed when Blizzard Announced that a Warcraft movie was in development, set during the events of the first game, Warcraft: Orcs and Humans. Released in June of 2016, the film was not a great financial success in the US, but in other countries, like China, it seemed to flourish. The film had a domestic gross of only 47 million dollars, but in China alone, the film made 220 million dollars, far exceeding its production budget of 160 million. But the real question is, was it good or bad? The Leaders of two factions, Llane Wrynn, and Orgrim Doomhammer. The story of Warcraft is simple, the Orcs’ home planet Draenor, is dying. As a result of fel magic, the planet is being quickly destroyed, and to find a way out, a powerful warlock named Gul’dan, has built a portal to another world. This portal leads to Azeroth, the setting for the rest of the film. Azeroth is home to the humans, dwarfs, elfs, and all the other races of the Warcraft universe. The orcs, looking for a place to go, invade the human’s homeworld, killing many in the process. This story is told through the eyes of many different and interesting characters that many Warcraft fans will know, like Medivh, Khadgar, Durotan, and Anduin. With the large amount of plotlines, the film can sometimes be hard to follow. But, character development is not forgotten, and this breeds a film full of interesting and characters who are full of depth and emotion. The special effects, and CGI were a large part of this film, given that most of the world and a good few races were created entirely from it. Large landmarks, like the city of Stormwind and The Dark Portal, are created completely of CGI. 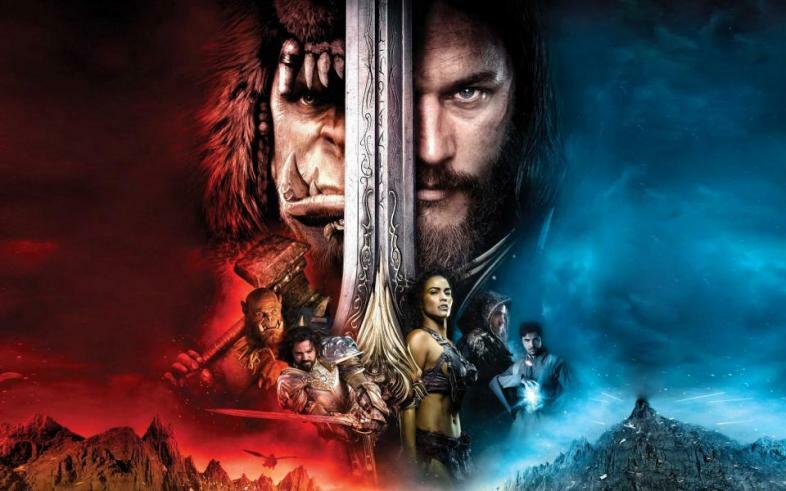 All of the orcs are entirely rendered on a computer, so it is safe to say that this film has its fair share of CGI. In my personal opinion, I don’t believe that this takes away from the film. The use of CGI gives us wonderful landscapes, like Stormwind, and the orcs look rendered wonderfully. At certain points in the film, it can even be hard to tell if the orcs are computer-generated, or just actors. Speaking of CGI, it can get very expensive, very quickly. This film had a slightly high budget, but comparing it to other blockbuster films, it isn’t even close to breaking the record for the highest. Coming in at around 160 million dollars, Warcraft’s budget ranks in the lower end of the highest budgets of all time, not even coming close to Avatar ($237 million). Most of this money was spent on the elaborate costumes, set pieces, and definitely the CGI. The budget was used to create the world of Azeroth, and they did this well, making you feel as if you’re transported to another planet. Anduin Lothar riding a gryphon to battle. When we aren’t learning more about the characters or the universe that they are in, orcs and humans are duking it out in epic battles. Swords clash, steels rings, and death is everywhere. The battles are large, waging large scale attacks between the orcs and the humans of Azeroth, mounted combat or on the ground, the fighting is always fast-paced and very intriguing. The magic in Warcraft also contributes largely to the action, as the main two magicians, Medivh and Khadgar, use it often. Whether they need to teleport across the continent, or throw a giant fireball at an attacking orc, they are always adding to the fight scenes in an interesting way. Anduin and Garona having a heated exchange. The actors add to this film tremendously. While a lot of the actors had scenes where their abilities should have been stunted, considering the fact that they had to talk to creatures that weren’t there, none of that disconnect came through in the final product. The actors played it wonderfully, I was never once brought out of the world because of a scene between a full CGI character and a human. As for the other performances, most were outstanding, with a few exceptions, I was glued to every character. The actors made it their duty to get you attached to their characters, and some even went above and beyond, creating characters that, even through their ugly deeds, made you feel for them. Medivh was a very interesting subject, the Guardian of Azeroth, and the one person who was tasked with protecting the world. He goes through many trials in this film, and ultimately grows into becoming my favorite character of the movie. (left to right) Kel’thuzad, Illidan Stormrage, The Lich King (Arthas Menethil), Deathwing, Garrosh Hellscream. Warcraft veered from the game’s story slightly. In the overarching tale, the plot is the same. The deaths in the film are mostly the same, and the characters mostly end up in the same place at the end. But, for the lore nerds out there, there were some interesting differences between the game’s story, and the one that the film is creating for itself. One of the big differences is the way that the orcs get their fel powers, in the games, the orcs drink the blood of a demon named Mannoroth, but in the film, they are tainted by draining human souls. Stormwind, the main city of the film, is also originally sacked and taken by the orcs, but they changed this in the film to just a few small damages. There are many other smaller differences, such as Khadgar’s background, the existence of a shadow council, and the unfortunate lack of ogres and gnomes from the film. In my opinion though, ignoring the small and subtle differences, they got it right. The world feels like Azeroth, it feels like the World of Warcraft. I thought this movie was great, and there were a lot of things I liked about it. It definitely had its downfalls, and I’ll get to that, but for a moment, I want to talk about the things that made this movie great. First, is the world, just as I said before, it feels like Azeroth. Everything in the film, from the Goldshire Inn, to the city of Stormwind, feels just like the game. I thought it was a very great representation of the world that so many of us have traveled in. Another big pro of Warcraft is the relationships, each character has their own unique and special dynamics with the others. It feels like they have life, and that they existed before we turned the film on. Even just small moments, for instance, when Durotan and Orgrim are sitting on a clifface, overlooking the encampment, Orgrim tosses a small rock at his friend’s head. They both start to chuckle, and you get a rare glimpse at the inside life of these two huge creatures. It’s small moments like these that make this movie really fun. One thing this movie did really well, was the fights, every battle, especially the one-on-one skirmishes, had me on the edge of my seat. There was so much suspense and anticipation of the outcome, which I couldn’t wait to see what happened. The choreography was also wonderful, the movements felt realistic and they never stopped for a moment. Now with that being said, this wasn’t a perfect film. There are definitely some faults within this movie, and some big ones at that. One big thing that this movie did wrong, was the editing. I felt like some scenes were cut far too quickly, there was room for more in the scene, and they would cut just before we found out what we wanted. There were also some strange choices with the editing, where I felt a shot should have been held on for just a few more seconds, instead of being cut. For instance, Garona and Llane are talking in Stormwind, and Llane tells Garona that she must help them to save her people. The camera switches back to Garona, and it stays for not even a half a second before cutting away, taking away all of the emotion out of the scene. Another con of the film was the amount of plotlines. The film can be hard to follow at some points, with so many characters, and so many different things going on, there isn’t much time to devote to all of them. You get enriched and attached to one story, and are quickly ripped out to go into another one. Just as you are becoming adjusted to that one, you are pulled out again, now to a different storyline than before. It feels a bit much at points, there are scenes that we didn’t need to see. In summary, I had a great time with this film. I was enthralled the entire time, and even though there were some moments where I was pulled from immersion of the film, the entire ride was enjoyable. 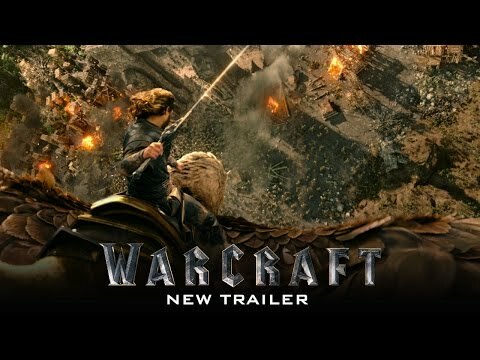 If you’re a fan of the Warcraft series, or if you’re just someone who’s interested, I would definitely recommend checking this film out. It’s enjoyable for everyone, and the filmmakers made it incredibly accessible to people outside of the established fan base. There were some minor changes, for example how Garona killed Llane and I think it was better choice to stab him in the back, than cut his heart out. I agree with them all. Pitty that we couldn't see Ogres and Gnomes.